VISIT OUR OFFICIAL USAJJ ® WEBSITE..!! ​BJJ - GRAPPLING National System & Program..!! United States Ju-Jitsu Federation (USJJF) ® proudly presents its National System - USA JIU-JITSU ® (Rank Requirements) for BJJ-Grappling. 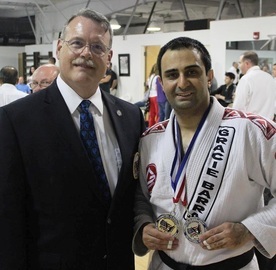 USA JIU-JITSU and Participate in the Dynamic Grappling Art of Jiu-Jitsu..!! BJJ promotes the concept that a smaller, weaker person can successfully defend against a bigger, stronger assailant by using proper technique, leverage, and most notably, taking the fight to the ground, and then applying joint-locks and chokeholds to defeat the opponent. BJJ training is used for sport grappling tournaments (gi and no-gi). Sparring (commonly referred to as "rolling") and live drilling play a major role in training, and a premium is placed on performance, especially in competition, in relation to progress and ascension through its ranking system. 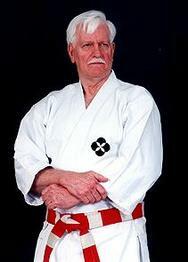 History Origins Geo Omori opened the first jujutsu / judo school in Brazil in 1909. He would go on to teach a number of individuals including Luiz França. Later, Mitsuyo Maeda was one of five of the Kodokan's top groundwork (newaza) experts that judo's founder Kano Jigoro sent overseas to demonstrate and spread his art to the world. Maeda had trained first in sumo as a teenager, and after the interest generated by stories about the success of Kodokan Judo at contests with other jujutsu schools that were occurring at the time, became a student of Jigoro Kano. Maeda left Japan in 1904 and visited a number of countries giving "judo" demonstrations and accepting challenges from wrestlers, boxers, savate fighters and various other martial artists before eventually arriving in Brazil on November 14, 1914. Divergence from Kodokan rules. Since judo was introduced to Brazil there have been changes in the rules of sport judo – some to enhance it as a spectator sport, and some for improved safety. 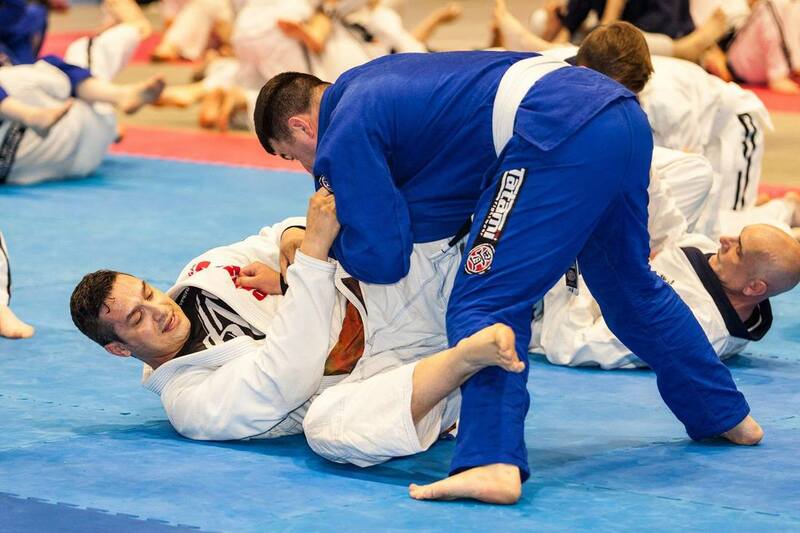 Several of these rule changes have greatly de-emphasised the groundwork aspects of judo, and others have reduced the range of joint locks allowed and when they can be applied. Brazilian jiu-jitsu did not follow these changes to judo rules (and there is no evidence that some of the rules were ever used, such as the win by pin/osaekomi or by throw), and this divergence has given it a distinct identity as a grappling art, while still being recognizably related to judo. Other factors that have contributed towards the stylistic divergence of BJJ from sport judo include the Gracies' desire to create a national martial art, the influence of Brazilian culture, and the Gracies' emphasis on full-contact fighting. USA JIU-JITSU LEADERS IN USJJF..!! USA JIU-JITSU (USAJJ) SCHOOL REGISTRATION CERTIFICATE..! !